Open concept “day rooms” and body scanners will better monitor inmate population, says prison officials. Tim Carroll, superintendent of Central Nova, shows media around the revamped day rooms. Burnside’s prison is hoping to shed its infamous and violent reputation with the help of an expensive makeover. 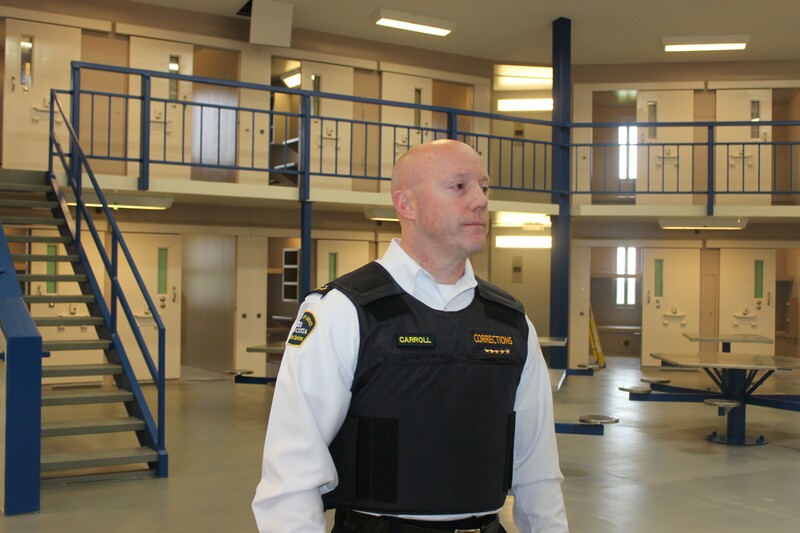 The Central Nova Scotia Correctional Facility gave a media tour of its $6.8-million renovations Tuesday morning. The upgrades are part of a new way of facilitating inmates’ living quarters, designed to prevent violent altercations and quickly suppress them when they occur. The new “day rooms” will house 62 inmates at any given time, with guards having direct supervision 24 hours a day from a central common area. The change from close quarters and intermittent patrolling to an open environment and constant supervision will drastically lower any potential altercations, believes Jim Hayman, a staff trainer with Correctional Services. “Just our presences alone can help any situation…we don’t have to cross that bridge from verbal to physical,” says Hayman. Nova Scotia's largest prison has been marred in the past by excessive use of solitary confinement, violent confrontations between inmates and staff and dehumanizing conditions. The new model at least aims to prevent some of those incidents that so often result in inmates being confined to their cells. The day room will have two guards on duty for 12-hour shifts behind a desk, monitoring and interacting with inmates. The living quarters have both single and double cells, shower facilities and an open area with bolted tables and chairs. The renovated facilities won't be ready to house inmates until late June. During Tuesday’s open house, officials also screened a promotional video showing off the Soter RS body-scan machine that will be implemented in the near future to better detect drugs and contraband. Made by the Dutch company OD Security, the scanner can detect contraband in an inmate’s clothing or body cavities. The technology is already being used at facilities in British Columbia, Alberta and Ontario and is the first of its kind in Nova Scotia. Central Nova has purchased five of the machines at a cost of $198,000 per unit. David Mills, manager of policies and programs, says the body scanners will reduce illegal items entering the facility by 95 percent and only emit radiation levels equivalent to eating two bananas. Since a large number of inmates enter the facility addicted to illicit drugs, prison officials are also working with the Nova Scotia Health Authority to identify high-profile individuals at risk of substance abuse. “We have hired five social workers in the past year and committed to hiring additional staff to deal with any addictions issues if they arise,” says chief superintendent John Scoville of the Department of Justice Corrections Services. The prison also hosted a community resource fair on Tuesday as part of Corrections Week. Inmates were able to connect with several non-profit groups and community organizations that can help with integration upon their release. 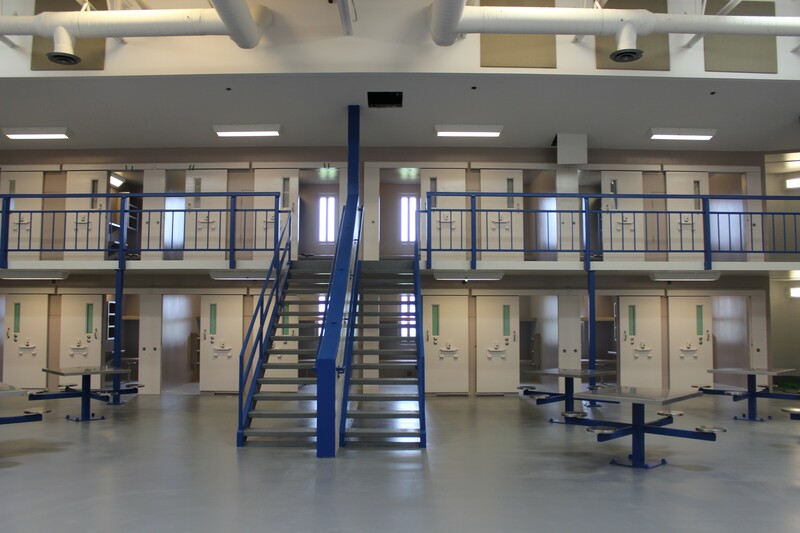 Currently, Central Nova’s revamped north unit remains under construction and won’t be ready to house inmates until late June. The renovated west unit is expected to be ready within the next six months.